What? 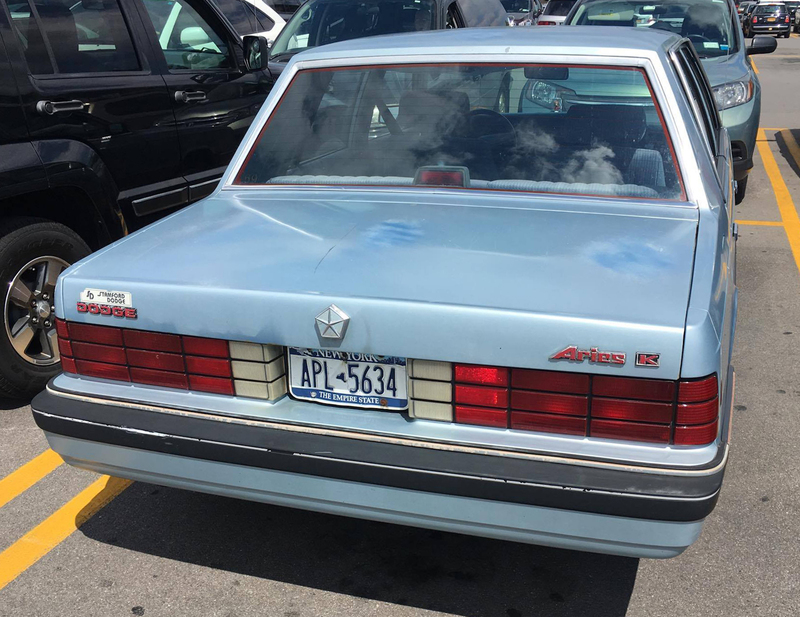 A clean, surviving 1988 Dodge Aries LE sedan? In Buffalo? Considering that over 85,000 of them were built (and presumably sold, lol) it’s not totally surprising to find a few still on the road. What is surprising is to find one that’s not a total rustbucket. One clue might be the dealer sticker seen here on the trunklid. 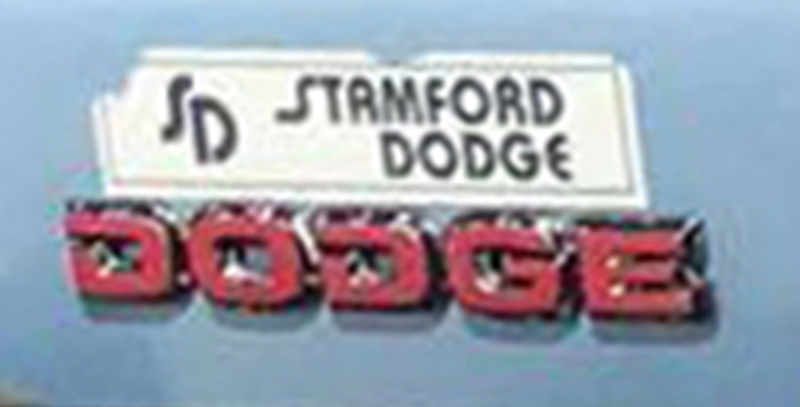 It says Stamford Dodge, and an internet search turned up only one such-named Dodge store — in Stamford, Connecticut. Located on the coast, its winters are nowhere near as harsh as ours so, depending on how many years (if any at all) it spent in the Nutmeg State, that might account for its relatively pristine condition. 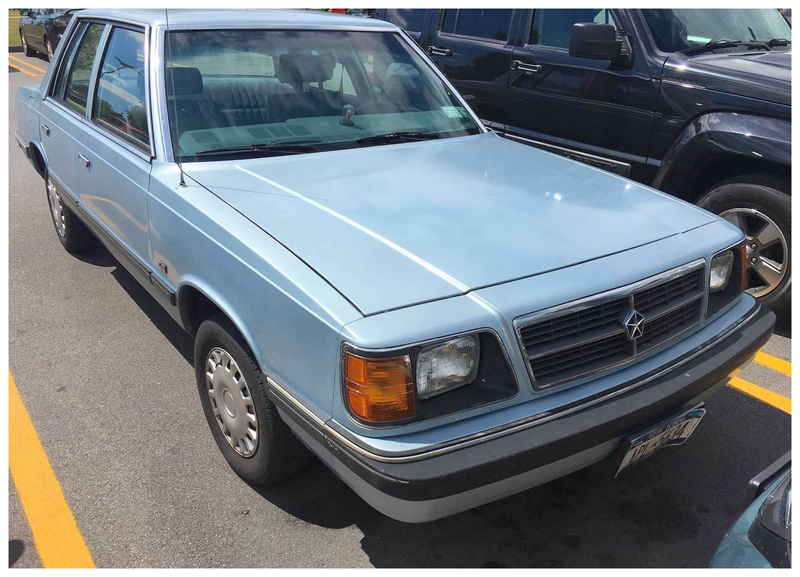 RealRides reader, storyteller, Buffalo News blogger, bow-tie wearer, and now WECK radio news director Steve Cichon snapped these photos last year in a crowded parking lot in Buffalo’s Black Rock neighborhood.